Mitzvah Day Together aims to promote equality and inclusion for all members of our community. Importantly, it’s about looking beyond differences and embracing alternative strengths, skills, experiences and perspectives. 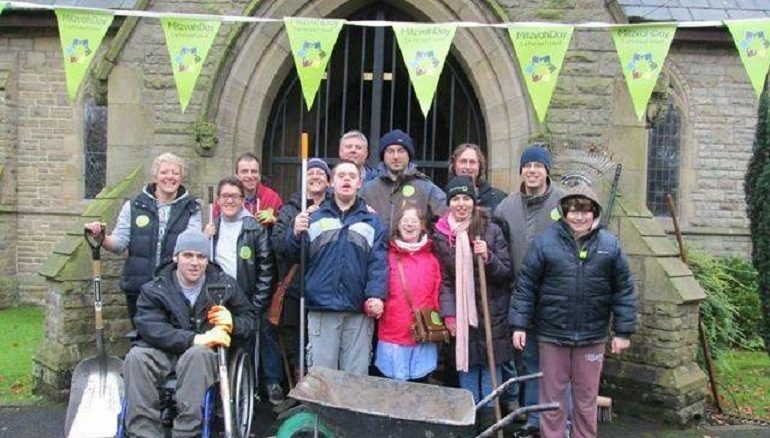 By removing barriers to inclusion, volunteering enables all people, regardless of capability, to feel part of the community, and part of Mitzvah Day. This is an excellent cross-generational project for young children and adults, family groups and active older people, offering a great opportunity to form new friendship circles and share experiences together. Identify which group or service users you would like to work with on a project. Contact them to find out what would work for them in terms of timing, numbers and activity preferences. Service users can be instrumental in the organisation, planning and catering of joint projects with outside partners and use their own buildings and facilities to host tea parties, lunches, art projects, toy cleaning, gardening projects and many other communal activities. Service users can join in with Mitzvah Day Collectathons, helping to stand outside a supermarket, and with sorting the items being distributed to food banks and shelters. Take a look at our Available Projects page for ideas of the type of projects you can plan together. Organise a team to help you with the overall planning and preparation. Ensure that everyone involved has a clear idea of what their role will be. Ensure that you have organised any necessary equipment and thought through logistics prior to the actual event. Advertise your event to your community in advance, to build excitement and encourage people to participate. Make sure that your team has a clear idea of timings, a list of all participants and full instructions. Ensure everyone is kitted out with Mitzvah Day Merchandise and is ready to have a great time. Allocate someone to take photos. Remember to inform all participants about the charity that you are helping and to thank all those involved and encourage them to get involved in the future. Send Mitzvah Day some photos and let us know about your successful “Mitzvah Day Together”” Project!